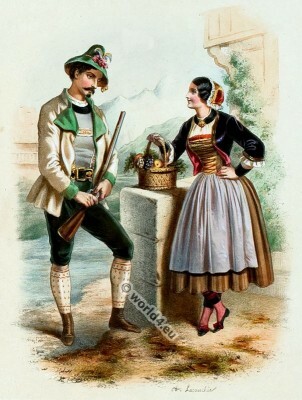 Tirol national costumes. The traditional austrian clothing. 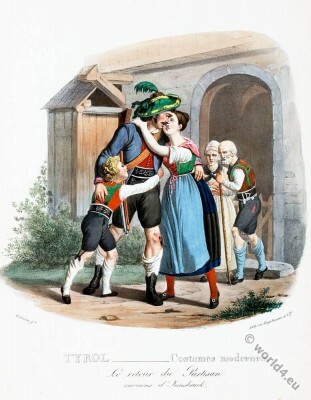 Dirndl and Lederhosen. Tyrol is a region in the Alps in western Austria and northern Italy. The area was long time under a common rule. After the First World War and the fall of the Habsburg Empire (Austria-Hungary), the County of Tyrol was divided in 1919 under Austria and Italy. 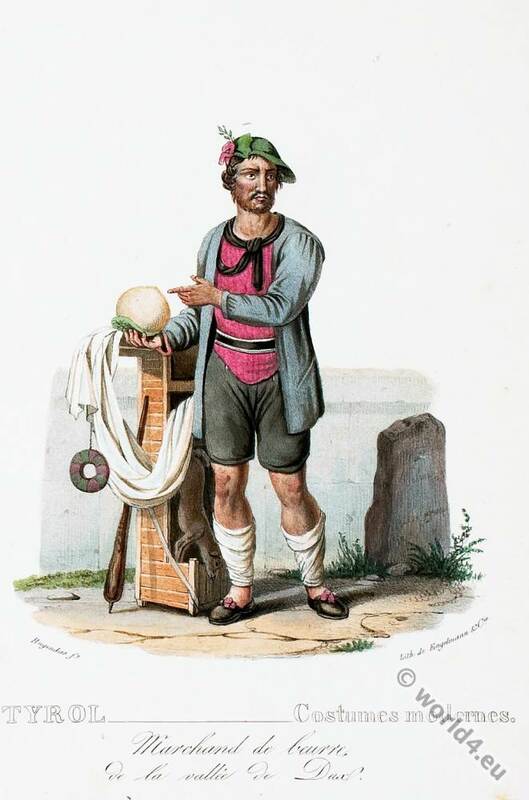 Peasant costume from Tyrol Austria 1873. 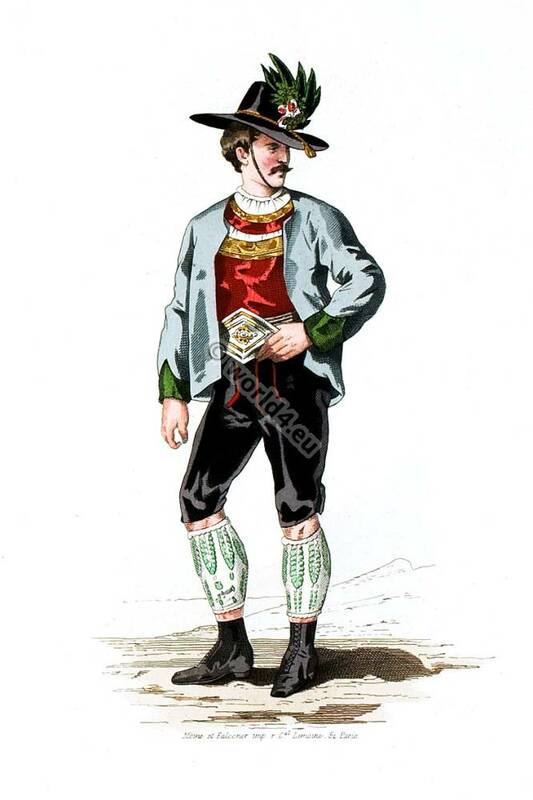 This entry was posted in 1873, 19th Century, Austria and tagged Souvenir de L'Exposition Universelle de Vienne, Traditional Austrian clothing, Traditional Tyrolean national costumes on 12/19/15 by world4. 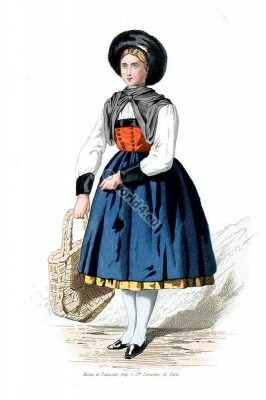 This entry was posted in 1873, 19th Century, Austria and tagged Souvenir de L'Exposition Universelle de Vienne, Traditional Austrian clothing, Traditional Tyrolean national costumes on 12/15/15 by world4. The return of the Partisan around Innsbruck. 19th century. The return of the Partisan around Innsbruck. Le return du Partisan environs de Innsbruck. This entry was posted in 1835, 19th Century, Austria and tagged Traditional Austrian clothing, Traditional Tyrolean national costumes on 11/7/15 by world4. Tyrolean butter merchant from Joux Valley. Butter merchant. The Joux Valley. Marchand de beurre. De la vallée de Dux. 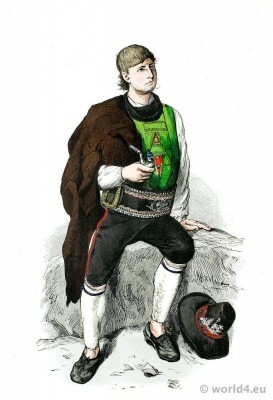 This entry was posted in 1835, 19th Century, Austria and tagged Traditional Austrian clothing, Traditional Tyrolean national costumes on 10/30/15 by world4. This entry was posted in 1850, 19th Century, Austria, Traditional and tagged Traditional Austrian clothing, Traditional Tyrolean national costumes on 12/21/14 by world4. 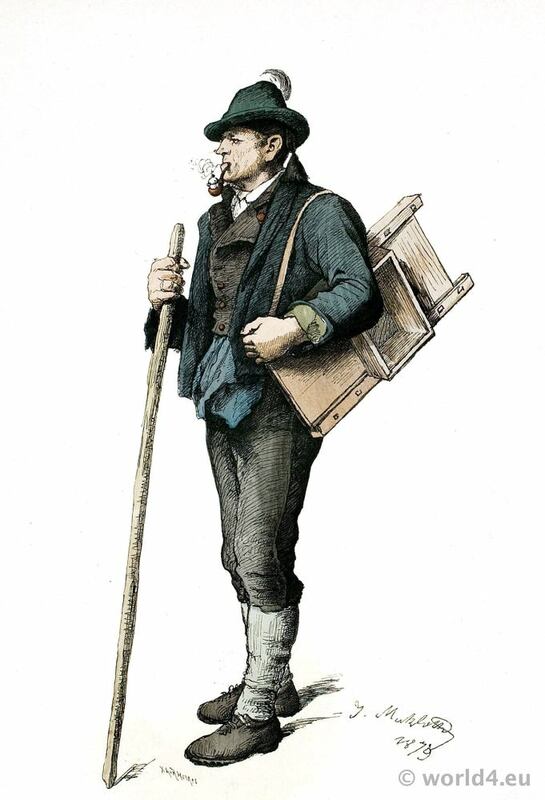 Young farmer from Obermais, Merano, South Tyrol 1875. This entry was posted in 1875, 19th Century, Austria, Traditional and tagged Lipperheide, Traditional Austrian clothing, Traditional Tyrolean national costumes on 11/20/14 by world4. 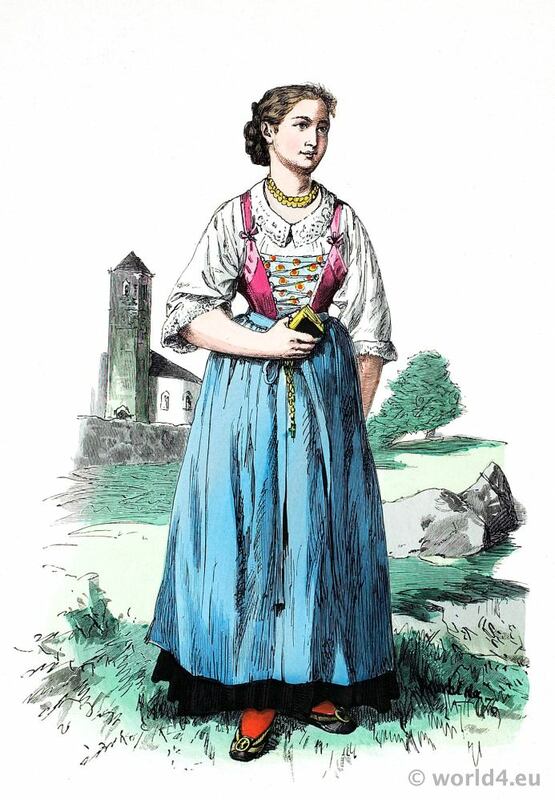 Girl folk dress from Schönna near Merano, South Tyrol. Girl from Schönna near Merano, South Tyrol. Girl folk dress from Schönna near Merano, South Tyrol 1875. This entry was posted in 1875, 19th Century, Austria, Traditional and tagged Lipperheide, Traditional Austrian clothing, Traditional Tyrolean national costumes on 11/19/14 by world4. 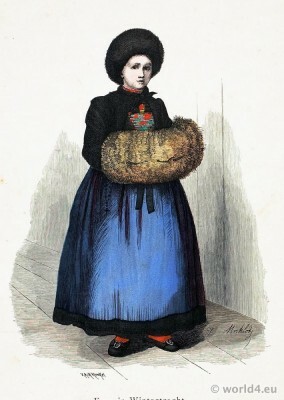 Woman in winter costume from Montafun, Vorarlberg 1875. 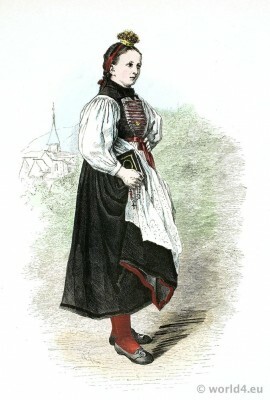 This entry was posted in 1875, 19th Century, Austria, Traditional and tagged Lipperheide, Traditional Austrian clothing, Traditional Tyrolean national costumes on 11/17/14 by world4. This entry was posted in 1879, 19th Century, Austria, Traditional and tagged Lipperheide, Traditional Austrian clothing, Traditional Tyrolean national costumes on 11/15/14 by world4. Man and Woman of the Valley Dux. Tyrol. Valley Dux Tyrol folk costume 1843. Man and Woman of the Valley Dux. Tyrol. 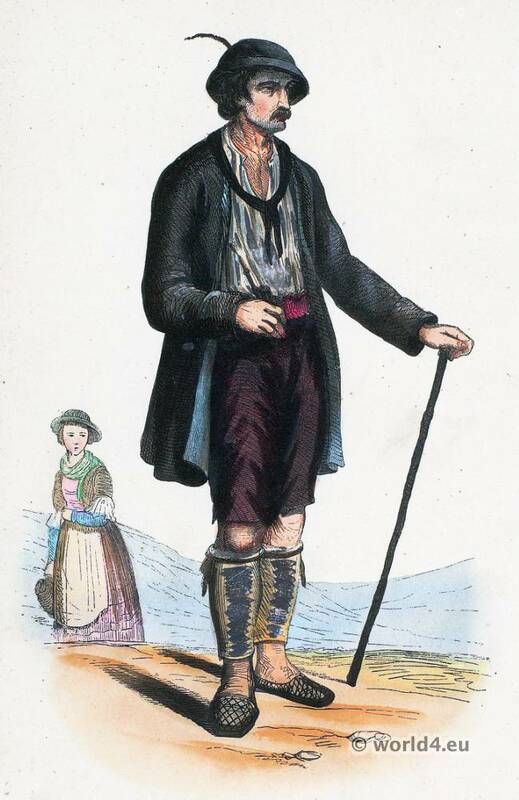 Homme et Femme de la Vallée de Dux. Tyrol. This entry was posted in 19th Century, Austria, Traditional and tagged Traditional Austrian clothing, Traditional Tyrolean national costumes on 7/12/14 by world4.